Is it Worth Trying to Save Money on an Engagement Ring? When it comes to major life purchases, we’d put an engagement ring right up there at the very top of the list. It’s no surprise an engagement ring is a major investment—so it makes sense to want shop smart…but is it worth trying to strike a deal in the process? While jewelers might run occasional sales, this question really comes down to setting a realistic budget and thinking about the timing of future wedding expenses. Today, then, we’re offering our top tips for all you need to know about whether you should—or shouldn’t—try to save money when shopping for your partner’s dream ring. Before you start looking for steals and deals, sit down and answer the following questions. How much do you currently have saved? How soon do you want/need to purchase the ring? What kind of ring details do you have in mind? Do you want to build a custom engagement ring? How soon after proposing do you think you’ll start planning your wedding? Answering these questions will give you a comprehensive idea of your budget as it relates to your timeline and other upcoming expenses. If you don’t currently have much (or anything) saved and you have some time to shop around, then looking for deals might be in your best interest. On the other hand, if you’re in a rush to purchase and have some seriously dreamy ring details in mind (like designing a custom engagement ring on Blue Nile or James Allen or finding a rare diamond shape), then focusing on finding a deal probably shouldn’t be your main concern. Once you have a solid idea of your budget as it relates to your engagement and wedding-planning timeline, browse the below two categories to see where your proposal and wedding planning scenario fits in. You think you and your partner will jump straight into wedding planning. If you will be paying for the wedding—or most of it—yourself, you’ll need to have money set aside for paying deposits to secure the wedding vendors you want. If you think wedding planning is in your near future after getting engaged, then you’ll want to make sure you have a budget for vendor deposits. This might mean spending a little less on the ring in order to ensure you’re at a good place to start planning immediately after your engagement. You have a specific vision in mind. If you have specific ring details in mind or a vision of a certain “dream ring” that you just can’t shake, then your primary concern should be finding something that fits that bill…as opposed to looking for a deal. This is especially true if you’re planning on designing a custom engagement ring. You don’t plan on upgrading. Many couples purchase their first engagement ring with the knowledge that they’ll eventually “upgrade” it as the years go on and their financial status evolves. 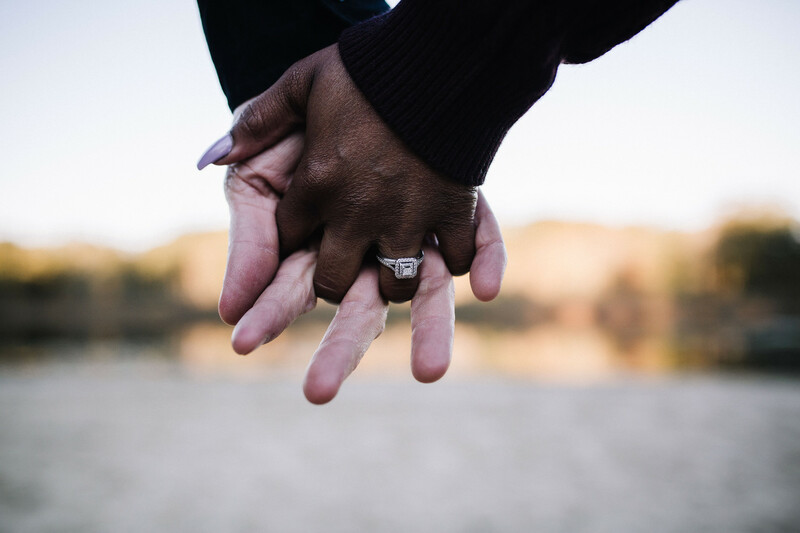 If you and your partner are more sentimental and you’d prefer this ring to be her or his ring for life, then you should probably focus on making sure it’s perfect, as opposed to concentrating on finding a low price. You’re someone who always goes for quality. It’s no surprise that less expensive doesn’t exactly equal better. If you’re a shopper who tends who purchase quality items over cheaper items, you probably want to approach ring shopping the same way. Purchasing an engagement ring is a major investment, after all—so it’s always best to seek the best possible quality for your budget. Want even more engagement ring shopping tips? 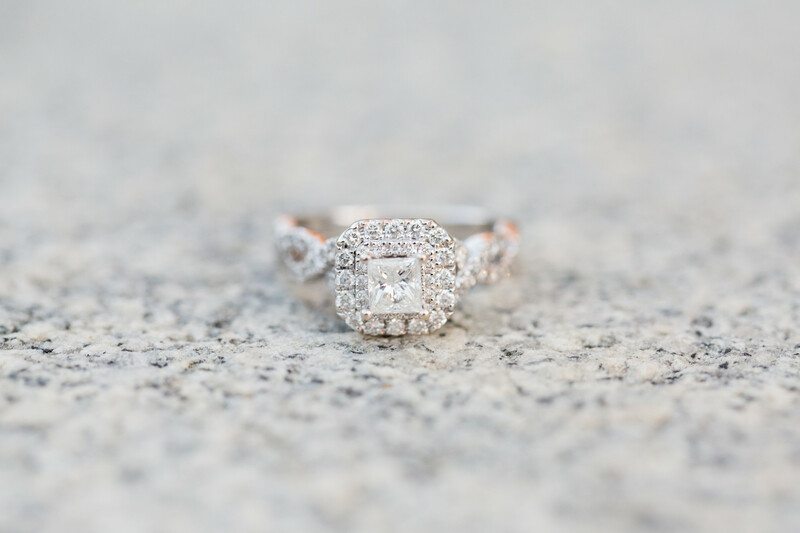 Learn how much you should spend on an engagement ring and how to make the most out of your budget!